Sweetcorn, Marigold, Beans and Nasturtium. 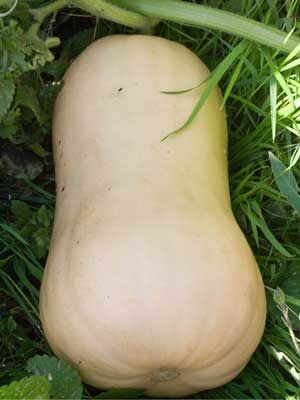 Towards the end of the summer raise the squash off the ground by putting a piece of wood or similar under them to prevent rotting. Water roots generously in dry weather. When the plant starts to die cut off the squash leaving part of the stalk attached. Allow the skin to harden in the sun for a few days if wanting to store them in a frost-free place.